David Wagner refused to be drawn on reports Huddersfield have made an approach for Leicester's Shinji Okazaki. 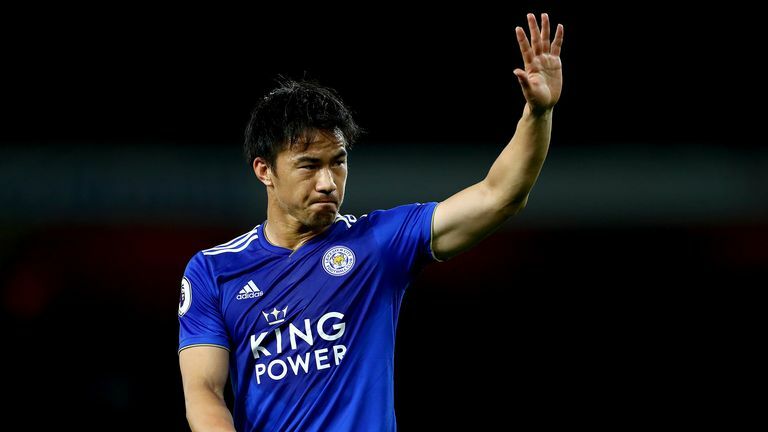 Huddersfield are among a number of Premier League clubs to have approached Leicester about Shinji Okazaki, according to Sky sources. Sources understand Huddersfield have been in contact with Leicester about the forward, but Terriers boss David Wagner refused to be drawn on the subject when quizzed at his press conference on Thursday. When asked about a possible bid for the 32-year-old, Wagner said: "I am not able to confirm anything to any name. "I don't like to comment on any individual names. This makes no sense because the window is open, we have to be patient and on the other side all of the players are not our players." Okazaki previously claimed he may have to leave the club to seek a different challenge ahead of the World Cup. Speaking to the Leicester Mercury, he said: "This team is changing and the club is changing, looking for a different challenge now. "Me too. I want to change something because Leicester I love like family but I want another challenge in Europe. "I don't know whether to stay or go, but I want to stay in Europe. After four years there is a World Cup and I want to play in the World Cup again. "Then maybe I have to stay in Europe for four more years."